Having used a single large performance stage in the first three years to host all acts, this year with the genre of Rock, Pop, Blues, Britpop, Folk, Glam Rock and Soul. In 2018 we introduced a second marquee to house Northern Soul DJs playing only on vinyl over Saturday and Sunday. 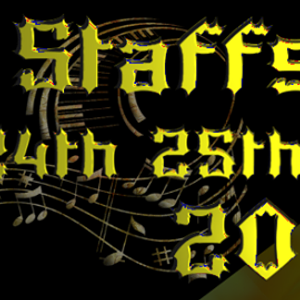 Staffs Fest 2019 will underline the growing success of the event with the introduction of a third marquee which will host Reggae Rockz 2019 production by Basil Gabbidon one of the founder members of Steel Pulse which will host a mixture of Reggae, Ska, Jazz, Funk and 2 Tone. The festival is not one dimensional however. In addition to the wide ranging live music on offer, there will be displays and workshops from local groups, a range of food and drink vendors and gift stalls , clothing and ethnic stalls providing all manner of things suited for a typical music festival audience, whilst the Beer Tent promises to never run out of beers and spirits throughout the weekend. As befitting a family orientated music festival, provision is made for younger members in the audience with free access to Lower Drayton Fun Farm, which includes everything from animal feeding to adventure playground. As with previous years, LR Partnership/Staffs Fest are allowing all children under 16 free admission throughout the festival weekend. Finalists will win the chance to play live at the festival and the winner will be picked by a panel of judges with a main prize of 2 days recording in a music studio with the production of a CD from sponsor Phoenix Music Studio Gaol Road in Stafford. LR Partnership and Staffs Fest have been very active in supporting worthy causes within the local Midlands community over the last few years. For the first three The Festival championed the Millie Bea's Walking Wish Charity which has currently raised an amazing £75,000 for a much-needed operation to help Millie to walk. Which she has now had and is doing remarkably well, Millie Bea attends the festival each year with her family and one of the marquees is named after her. Last year money was raised for AED Donate a charity for distributing defibrillators. A fantastic charity, the Band of Builders is the story of what happens when people unite to help others. It started with one man’s desire to help his friend in his hour of need and has grown into a global movement run by tradespeople, for tradespeople.